I am still using and loving my Webster’s Pages Travellers Notebook and I think I will be with him for quite some time yet. For the past few weeks I have been hand drawing my daily inserts, the plan was to keep playing with the layout until I had something I loved and then I could design and print them properly. 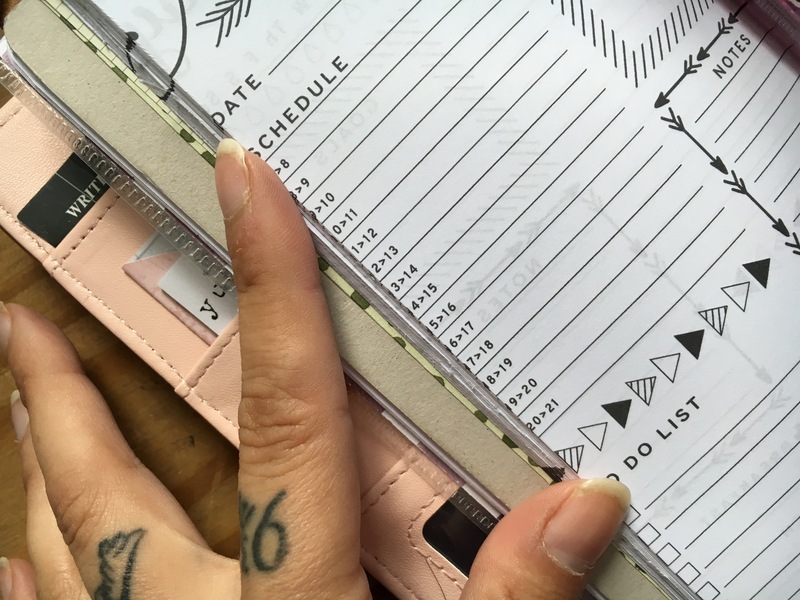 Over the weekend I discovered a few blogs that offer free printable pages for different sizes of planner, including TNs. 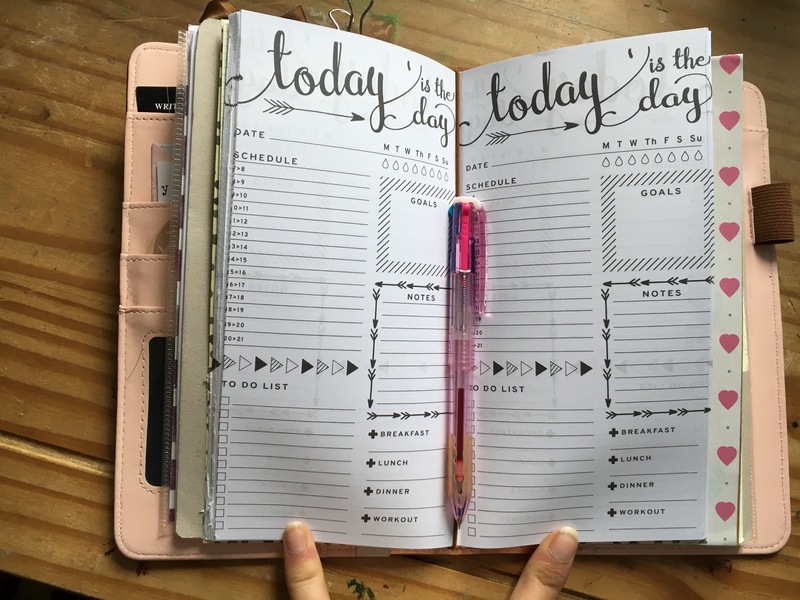 These both had amazing printable, unfortunately I am a picky cow and was particularly after daily inserts that included an hourly schedule, To Do, Notes and then room to journal too. You know what it is like.. you are quite happy with your current set up but are too busy too draw them out, you decide to have a quick look for some free printable to get you by… a few hours of searching later and you still have no printable that is suitable, still have no hand drawn inserts, still have no work down and now you really just want to find the perfect planner inserts. I finally purchased these inserts from Etsy, at £3.38 they are excellent value for money, they are a fun design and fit my needs perfectly, nearly!! 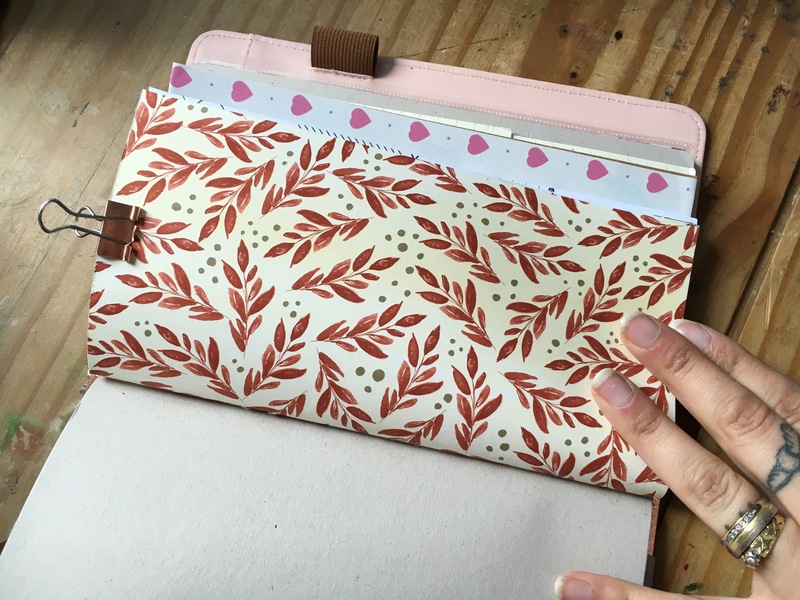 I’ve printed out 40 days worth and covered them in a lovely autumnal scrapbook paper, getting the hang of binding and cutting them was a bit tricky and I need to go back over the edges with a craft knife and metal ruler to get the edges straight. I’m really happy with this insert now and plan to use this booklet until the end of October. Glad you found some, you could always design your own in word, paint shop pro or Photoshop. Do you print them back to back? If so is it easy to do? I want to make my own fitness inserts.